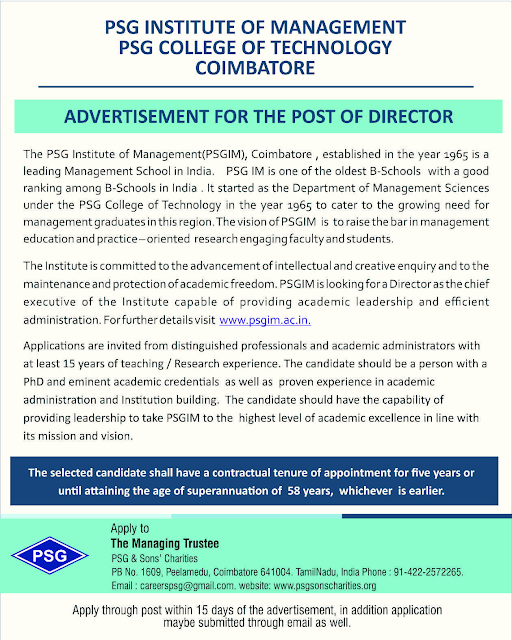 PSG College of Technology, Coimbatore has advertised in THE HINDU newspaper for the recruitment of Director jobs vacancies. Interested and eligible job aspirants are requested to apply within 15 days from 27th June 2017. Check out further more details below. About College: PSG College of Technology, an ISO 9001:2000 certified institution is one of the foremost institutions founded by the PSG & Sons' Charities Trust (1926). 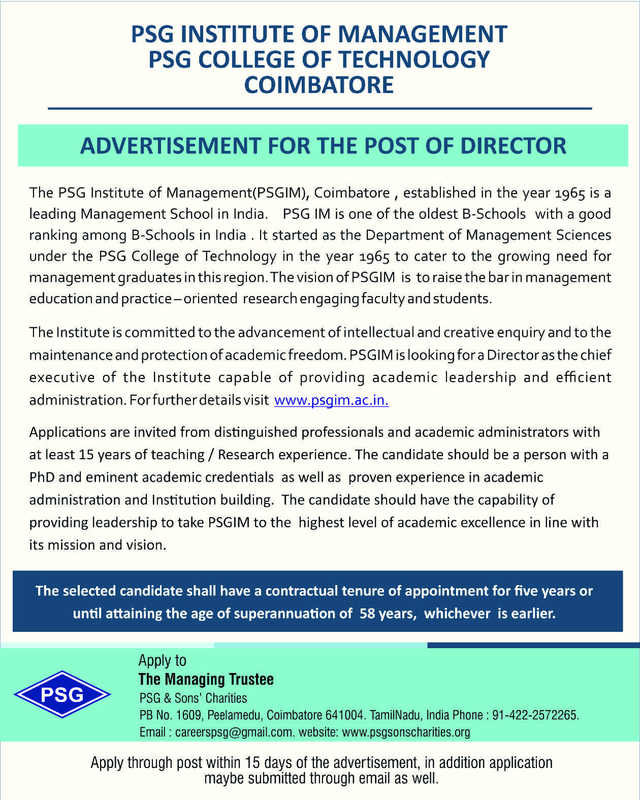 The College was established in the year 1951 and the Founders wisely decided to locate it in the same campus as the PSG Industrial Institute for effective industry-institute interaction. The PSG College of Technology is situated at about 8 km from Coimbatore Railway Station and 5 km from Airport. The campus is spread over 45 acres of land, economically utilized for the College, Hostels, Staff Quarters, Play Fields and Gardens. How to Apply: Interested and eligible candidates are requested to send their Resume along with self-attested copies of certificates and recent PP size photo to the following postal address. In addition, the application may be submitted through email address given here.